Yuma Pest and Termite Systems has been providing quality pest control for over ten years in the Yuma community. We feel our level of commitment to our customers is what has helped elevate us to the top of our industry. We are constantly striving to be the most technologically advanced company in our market, and we are always breaking new ground in pest management. I was very pleased with all the care the service workers took on my property. Just started service and It's okay. I am currently having my yard treated for gophers. Anselno is the young man doing the work. I have been with Yuma pest a long time and this is a very nice young man, he is very personable and does a through job.. you are lucky he is on your team.. thanks Kathie Varney. I was very pleased at the professionalism of the men who came to my house, and how nice they were to me it’s good to know that there are honest people in the world. I moved into a house had ticks and fleas got another company to come out for 9 months and no results yuma pest came out for me and within a week or 2 no more fleas or ticks I would highly recommend them to anyone that has a problem with bugs or any type of unwanted critters they will solve the problem. Yuma Pest is the best in service and customer service. Victor Mendoza is professional, knowledgeable, and very personable. He makes me feel like I am his most important customer. I will recommend him and Yuma Pest to anyone needing your services. I have used Yuma Pest for 14 years. Absolutely top of the line service and results. I recommend their service to everyone. 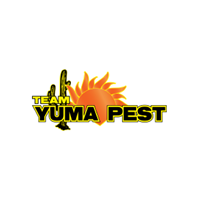 I have been very satisfied with the service from Yuma Pest. You are always on time and I have had no insect problems since you started on my yard. Yuma Pest has done a great job for me the past six months. They cme whenever I feel that I need their service and expertise. Bill P.
Always professional, always courteous and they do a great job as well!!! Never been disapponited with Yuma Pest, ever :) Great service. Excellent service - the technician was professional and knowledgeable. Great customer service by your tech. Technician are always very nice and easy to wok with, thank you for your service. We are very happy with service. I want to thank you for trying to sync our schedules, as we need to schedule our time after 3 around 3:30 due to our schedules. We leave vevthe service. Thank you,. Kitti Braden. ALL IS GOOD HAVE NOT SEEN NO BUGS OR PROBLEM, I WANT TO START SPRAYING EVERY 3 MONTHS. Associate was friendly and knowledgeable. Great friendly service, job always done right. Yuma Pest Control did a good job dealing with our termite issue. The staff is very professional and courteous. They arrived on time and completed the work quickly. We were very please with everyone at this hospital. house looks clean and no spiders. Memo gave excellent service. He was very thorough and prompt.